With 40 years of furniture experience under your belt, is there anything new to learn? Bart’s Office, Inc. https://bartsofficemoving.com/ thought so. 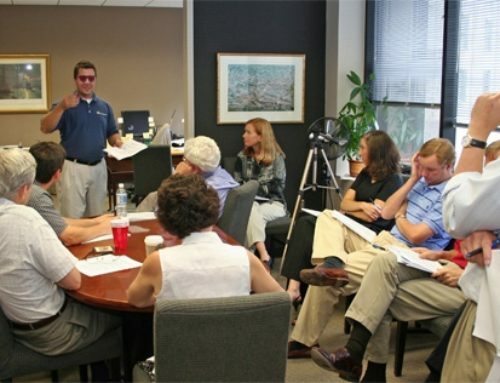 They hired the International Office Moving Institute (IOMI®) to teach their teams best practice methods to estimate accurately, and to ensure their moves finish on time for the price quoted with a minimum risk of damage to their clients’ furniture, copiers, computers, and office space. As the only Certified Office Mover® in New Orleans and Baton Rouge enrolled in IOMI’s online training, Bart’s provides ongoing training for all their employees. Bart’s history is fascinating. Bart and Kathleen Thibodeaux followed their dreams of having their own business and opened Bart’s Office Furniture Repairs in 1978. Often working 18 hours a day, they built a stellar reputation in the office furniture business. After their four daughters were born, Kathleen took over the business when Bart was forced to retire due to illness. Today, their four daughters, Courtney, Ashley, Kasie, and Alexie carry on the Bart’s legacy by running this very successful business that has diversified into modular furniture installation and office moving. According to Ed Katz, IOMI® president, Bart’s “sister” management team is one of the sharpest group of people I have ever met. They are committed to ongoing training for every employee. Unlike most moving companies that rely on OJT (on-the-job training at the customers’ expense), all of Bart’s employees are IOMI® trained and certified. Since Bart’s offers both project management and office moving, the company earned a dual IOMI® certification as both Certified Office Movers® and Certified Project Managers®. With a staff that has experience in both commercial moves and project management, they provide their clients a better way to relocate. Bart’s Office, Inc. is the only office mover in Louisiana to use Mat-A-Doors® to minimize the risk of damage to main building entrance doors and elevators. From the classroom to the truck—Bart’s associates practice the IOMI® floating method of keeping the furniture on the dolly on the floor of the truck that’s faster, safer, and more efficient. Bart’s has “redefined commercial relocation” in both New Orleans and Baton Rouge. Before they go out on a job, all employees are trained with IOMI®’s best practice techniques.